Photo was taken for the Detroit City Gas Co. to show off the gaslight fixtures. 8x10 glass negative. Detroit, Michigan, circa 1912. 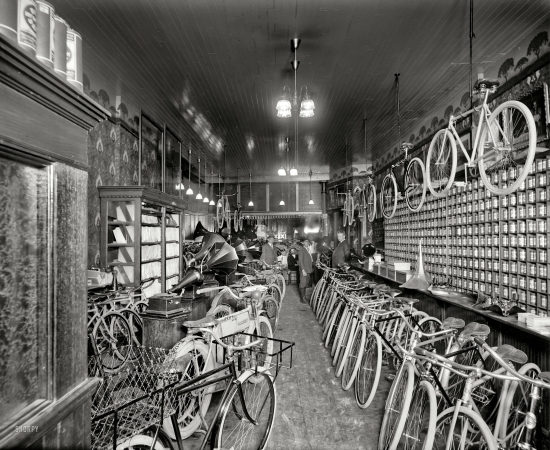 "Metzger bicycle shop."